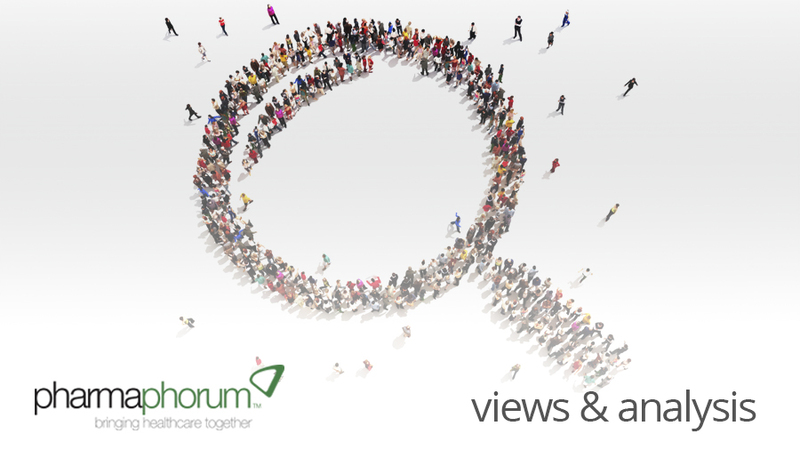 As 2014 draws to a close Paul Tunnah takes a different tack on his review of the year for the pharmaceutical industry, using Google to search for his inspiration on what the last 12 months can teach us about the direction of healthcare in 2015. It’s beginning to feel a lot like Christmas, everywhere you search – as Google might say (and try reading that opening line again without singing it in your head!). The end of the year is, indeed, almost upon us and provides an opportunity to relax and reflect on the year that was 2014. There will be a deluge of articles coming out reviewing key events from the year and, more specifically within my sector, taking a look back at the highs and lows of the pharmaceutical industry. To be honest, I was thinking of doing the same, but then the Google trends for 2014 caught my attention and they make for interesting reading when viewed through the healthcare lens. Consider the global top 10 Google searches this year and you will see two diseases leaping out – ‘Ebola’ (#3) and the ‘ALS Ice Bucket Challenge’ (#5). Indeed, the rise of Ebola in search terms mimics the exponential proliferation of the real virus it refers to, with 76 times more searches in October than in March, when the first reports started breaking. On Google, it started to really accelerate in July once the first cases were reported outside Africa (which is probably a factor of both internet coverage and mainstream media attention). Related search terms also spiked during this period, including ‘Hazmat suit’, a protective suit designed to be virus-proof, and ‘Zebov’, the experimental Canadian vaccine designed to combat Ebola. Analysis of the search results also throws up interesting insights into cultural sensitivities and references to such deadly diseases, with three of the top 10 Ebola-related searches being in Japanese (despite no local cases being reported) and the 1995 film ‘Outbreak’ seeing 10 times more online activity on Google than in the last decade! However, while Ebola searches may have been driven more by fear, it is arguably more impressive for the ALS Ice Bucket Challenge to make the top 10 searches, given the positive message around raising awareness of Amyotrophic Lateral Sclerosis (also known as Lou Gehrig’s disease). I’m sure you don’t need me to explain what the Ice Bucket Challenge involved, but as the craze caught on it saw over 90 million searches and over $100 million raised in August alone. Not bad for a disease which is relatively rare, with only a handful of people being affected for every 100,000 population. The campaign was helped, of course, by various famous faces getting involved, including Mark Zuckerberg, Bill Gates and, er, me. Will any viral campaign to raise awareness of a medical condition ever surpass this? Probably, but it’s going to take some effort! But the very top of the most searched-for terms in 2014 also gives a nod to healthcare. On 11 August 2014 the comedian and film star Robin Williams took his own life – sadly a victim of his own mental demons – and his name went on to become the biggest Google search of the year. While much of the coverage related to it could be argued to be unconstructive and voyeuristic, it did at least raise greater awareness of how damaging a disease depression can be. In the wake of his departure, searches for ‘depression’, ‘depression symptoms’ and ‘depression test’ increased significantly. If someone as successful, funny and loved as Williams can be beaten by this terrible disease, then it brings home the point about what a serious threat it is to everyone – it’s not just a state of mind, but a life-threatening biological disorder, just like cancer, diabetes or heart disease. On a separate note, health plays an even bigger role in search when you consider people asking ‘What is…?’, with seven of the top 10 2014 results here, in the UK, being focussed on medical conditions – Ebola (#1), ALS (#2), autism (#5), gluten (#6), lupus (#7), anxiety (#8) and gout (#9). So while topical news may dominate the overall trending Google searches, if we want to find out more about something, it’s often health that’s on our minds. I suspect that, in most cases, the searcher may well end up on a popular site like Wikipedia or WebMD, so it shows how important the medical accuracy of these sites is. And what does all this mean for pharmaceutical companies and healthcare workers? It means that we are all competing with doctor Google and the sites it drives people through to when it comes to accurate health information. It also means that mainstream news coverage, whether it is around the latest disease outbreak or celebrity death, is likely to be a much bigger driver of information around conditions than the best advertising campaign, app, website or Tweetchat. It means we have to work with Google, mainstream media and popular health sites to get the right messages across and we need to be nimble in the face of breaking news. Now there’s a New Year’s resolution for pharma to try and stick to in 2015. Until next month, thanks for all your support in 2014, have a relaxing festive break, a prosperous New Year and I’ll see you in 2015. Have your say: What does Google search teach the pharma industry?